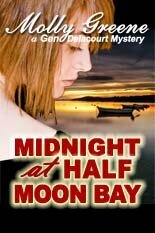 Pirated ebooks are a headache and a hot-button issue for nearly every author (myself included! ), and dealing with the pirate sites can be frustrating. This article was prepared by Kathryn Miller Goldman, Esq., in hopes we can help make the process to remove them clear. Molly found some of her books available for free download on a pirate site outlet and asked me how to handle the situation. Today, I’m going to share with you the first step in the process of having illegal free downloads removed from an unauthorized site. 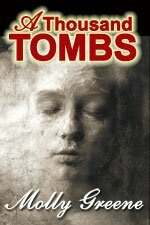 Molly’s books were found on a website called General eBooks. 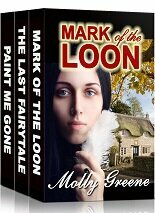 The ebooks that were being offered for free download were Blog It, Mark of the Loon, Paint Me Gone, and Rapunzel. 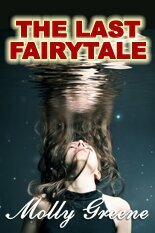 Rapunzel is the previous title for The Last Fairytale with a different cover. Note that below the cover image, there is a red bar for Reporting Copyright Violations. Beneath that is the description of the book with the ISBN followed by a gray box with “Official links & book stores.” These are links that take you directly to Kobo, or Amazon, or Barnes & Noble. This is deceptive because there would be no need to report a copyright violation if the links for the sale of the books are only to legitimate booksellers. People who are looking for free downloads will look further down the page. 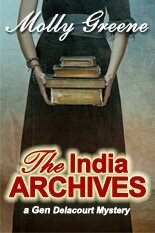 As an author policing the Internet for unauthorized piracy of your book, you need to look further, too. 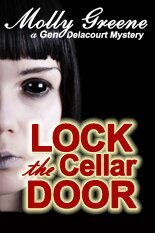 Beneath the legitimate links to Kobo is a blue link that says, “GET BOOK.” This is the link to the illegal download. If you don’t scroll far enough down the page, you may not notice this unauthorized link. I clicked on this link and saved the URL, but did not download the book. The root of the URL was not general-ebooks.com, it was another domain altogether. Each of Molly’s four books appeared on a similar page on General eBooks. You can see the cross reference to two of Molly’s other books on the right side of the screen shot above. Mark of the Loon did not appear on the left side of the page because it had been removed by the time I took the screen shot. 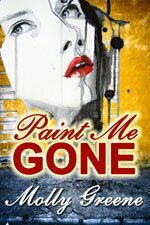 Paint Me Gone appears twice because it was entered into the database once as Paint Me Gone and once as Paint Me Gone (Gen Delacourt Mystery #3). As far as this site knows, they are two different books. 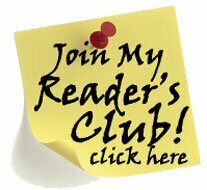 The eBook Blog It is protected by United States copyright law. The copyright is owned by the author Molly Greene. I have been authorized to advise you that free downloads are a violation of copyright law and an infringement of her copyright. Remove all free downloads of this book from your website, any related URLs and databases immediately otherwise the appropriate legal steps will be taken. The links had not been removed immediately, however. It took another day or two for the links to come off the site. The content of the confirmation email, as short as it was, lead me to believe that the story isn’t over. General eBooks may have removed the illegal download links from their site, but there is no mention in the email that the URLs where the illegal downloads can be found were disabled, or that Molly’s books were removed from the database where they are being stored. Sure enough, when I copy those URLs into my browser, Molly’s books are still available for illegal free download. General eBooks was not hosting the unauthorized ebooks, only linking to them. 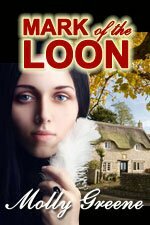 Illegal links to Molly’s books can pop up again on another pirate outlet site. Research into the URLs hosting Molly’s books reveals that the domain is owned by an Israeli company and is hosted by a Canadian ISP. More work has to be done to strip Molly’s books from the database hosted by that ISP and I hope to report back to you on how that went in another post. Guarding against piracy requires vigilance. You should set up Google Alerts for your titles and your name to help you keep track of where your work is appearing, both legitimately and illegally. Kathryn Goldman is an intellectual property attorney who protects writers, artists, filmmakers, and businesses from having their work and art ripped off. Since she’s a lawyer, she has to mention that she’s not *your* lawyer (so this article isn’t technically legal advice).